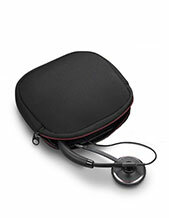 This Jabra BIZ 2400 II Leatherette is a pack of ear cushions in medium sizes (45 mm). 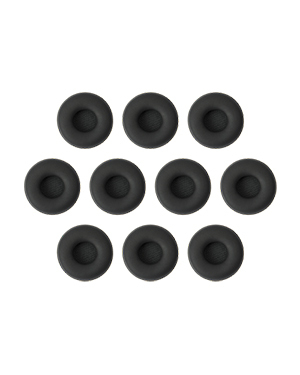 They are offered in 10 pieces and can be used for Jabra BIZ 2400 II headsets and are offered separately from packages. These cushions are backward compatible with the original Jabra BIZ 2400 Series. If you have questions regarding this product, call Australia wide 1300 088 088 and talk to one of our company representatives. An American multinational enterprise that started as part of the Utah Corporation Norcom Electronics Corporation, Jabra was technically created by Randy Granovetter and Brean Murray when the company Sold Norcom Electronics to Norris Communications, Inc. and NCI spun off the assets to Granovetter. Since its establishment, the company made a lot of milestones, not only in the company but in the entire industry. With its Motorola StarTac product, the company was able to create a market segment category for mobile headsets. 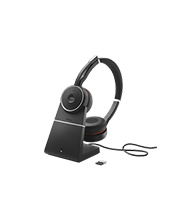 It even developed DSP-based noise and echo cancellation technologies for its headsets. Jabra is the very first company to develop an in-ear integrated microphone and speaker. 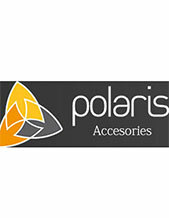 Responsible for inventing and patenting EarGels, the company is also the very first one to tune a headset over the air. Jabra was acquired by GN Netcom in the year 2000. GN Netcom is known as a division of the GN Great Nordic, which was founded as Great Northern Telegraph Company in the year 1869.